Need an Order of Protection in Illinois? 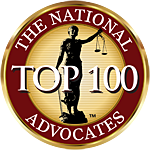 Contact our legal experts to help you file in Illinois Civil court. An Order of Protection is a court order made in writing which prohibits, by law, further abusive behavior. Who are persons considered to be family or household members?